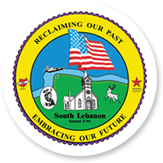 The Village of South Lebanon Board of Zoning Appeals will hold a public hearing on Monday, April 1, 2019 at 6:00 p.m. in the Council Chambers located at 10 N. High Street, South Lebanon, Ohio 45065. The purpose of the hearing is to receive public comments on an application for a variance to the minimum fence height surrounding a proposed private swimming pool from 6’ to 4’ at 5152 Riverview Drive in the Village of South Lebanon. Information about the hearing is available for review at the Village Administration Building between 8:00 a.m. and 4:30 p.m., Monday through Friday. Interested persons may appear and be heard with respect to the proposed application. Comments may also be submitted in writing to Jerry Haddix, Administrator, 10 N. High Street, South Lebanon, Ohio 45065 or emailed to jhaddix@southlebanonohio.org.